“In the strict sense of the word, there is no Buddhist law; there is only an influence exercised by Buddhist ethics or changes that have taken place in customs. No Buddhist authority.... has ever created or promulgated any law”. (Encyclopaedia of Religion and Ethics, S.V. Law) and stated that he would maintain on the contrary that the monastic code consisted of laws in so far as it consisted of enforceable rules of conduct, precisely stated and codified, there being a set procedures laid down in the Constitution for trial and conviction in case of infringement. “International Law is a name given to a body of rules and traditions that has grown since the 16th Century in the Western Europe. An authority on International Law, L. Oppenheim makes the following observation. “International Law, in the meaning of the term as used in modern times, did not exist during the antiquity or the first part of the Middle Ages. It is in its origin essentially a product of Christian Civilization and began gradually to grow from the second half of the Middle Ages”. The above quotation supports the view that modern International Law grew in the Christian Civilization, nurtured by Christian ethics. The term “International Law” was first coined by Jerem Bentham in 1780. According to the generally accepted definitions of International Law by the jurists of the West, it is a body of rules which determines the conducts of civilized states in their mutual dealings. At a certain period of history, it was a common belief in the West that the States in the East were uncivilized. Therefore, some Westerners seemed to have believed that there was nothing in the East which could have been called International Law. There was a number of sovereign states in Asia which had diplomatic relations with each other and their external affairs were guided by certain rules based on certain Buddhist principles suited for all times and climes. On evidence such as those of the Asoka edicts, Prof. Jayathilleke based his argument that Asiatic states had diplomatic relations not only with sovereign states in Asia, but also with those in Eastern Europe, the Middle East and North Africa; the Emperor Asoka had diplomatic relations with five Greek kings and with the rulers of Chola, Sri Lanka and Pandyan Kindoms. Prof. Jayathilleke refers to an ambassador from Lanka to Rome of whom Pliny states that he was in Rome during the reign of the Emperor Claudius. The earliest historically recorded mission from Sri Lanka to China was in the year 395 A.D. during the time of emperor Hsiao-wu. Prof. Jayathilleke further refers to a triple alliance entered into by Lanka, Malaysia and the Pandya Kingdom against the Chola aggression during the 11th Century. 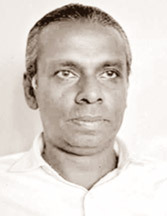 By means of such historical evidence, Prof. Jayathilleke tried to prove that in this part of the world the sovereign states did have their diplomatic, trade and cultural relations with all the countries of the world known to them and they had commonly accepted rules and customs to govern their external relations. If one were to say, in the face of all this, that the states in Asia, especially the Buddhist states, did not have an accepted code of rules for the conduct of their external relations, such a statement would amount to a display of one’s ignorance of the history of Asian state activities. It is true that there was no codified international law of the type that grew in the West, especially after Hugo Grotius (the acknowledge father of modern International Law, who authored the first treatise of International law entitled “De Jure Belli ac Pacis” “The Law of Peace and War”, published in 1625). Even if such a codified international law was not available in the East, the fact remains, as Prof. Jayathilleke points out, that there is enough evidence to establish the fact of Asian Buddhist states having had Buddhism as a guide in conducting the external relations of their States. Prof. Jayathilleke maintains that the Buddhist doctrines relevant to the conduct of external affairs were quite different from the doctrines of Kautilyan and other forms of Machiavellian philosophies. Referring to the Kautilyan and Machiavellian political philosophies, Prof. Jayathilake makes the following remark. “It is evident in the work (Machiavelli’s The Prince) that all respect for moral values was subservient to the ends of power and expediency. The quest for power as an end in itself and the employment of any means whatsoever to gain these ends were against the principles of Buddhist ethics. At the same time the political philosophy of Buddhism developed partly out of a criticism of the Machiavellian political of realism of the doctrine of the Arthasastras”. The Buddhist tests have accepted of the political wisdom of the Arthasastras including the need for efficient administration and vigilance on the part of the king or the state in regard to both home and foreign policies. In dependence on the Wheel of Justice”. One of the greatest rulers of the world, Asoka, at the beginning of his reign followed the Arthasastra and this led him to carry on an aggressive foreign policy (dia-vijaya). He change this policy to one of “dharma-vijaya” (conquest by righteousness) Prof. Jayathilleke has given a number of instances where the rulers in the Buddhist texts were admonished to give up their aggressive policies and to cultivate friendship and co-operation in the sphere of foreign affairs. It is a generally accepted point that any State makes use of international law and international politics to achieve ends beneficial to itself.